Evolence is collagen-based advanced structural dermal filler approved by the FDA for correction of moderate to deep wrinkles and folds on the face. Collagen is nature’s own building block to maintain skin structure, strength, and support. When the skin begins losing collagen, Evolence can replace it with naturally sourced collagen. This helps to add structural support and volume in depleted areas to restore a naturally youthful appearance. Evolence does not require pre-testing. Its proprietary Glymatrix technology is designed to provide longer-term results compared with many other dermal fillers. Results can be seen almost immediately after treatment. The procedure involves little or no swelling or bruising, which allows the doctor and the patient to evaluate the extent of wrinkle correction. Post-treatment downtime is almost nil, and the results are clinically proven to last for at least six months. 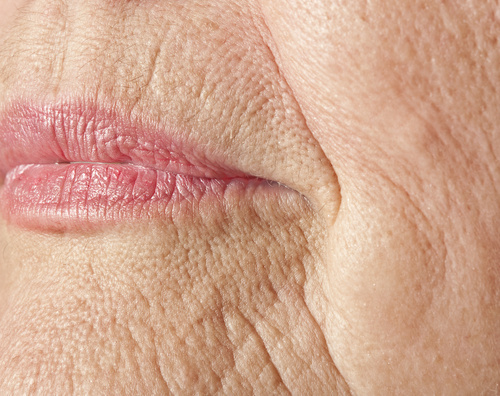 Typical dermal fillers rely on hyaluronic acid (HA) to remove wrinkles and smile lines. Evolence, on the other hand, is a real structural agent because of its three-dimensional collagen matrix. This structure is directly beneficial to a patient because it produces minimal or no swelling and bruising.Evolence does not rely on chemicals for cross-linking, unlike many other fillers. It makes use of natural sugar to enhance the durability of results. The patented Glymatrix technology of Evolence uses D-Ribose, a natural sugar, to cross-link collagen. The process of Glymatrix involves development of a true structural framework with long-lasting and natural cross-links to provide superior longevity of results. It uses naturally sources porcine collage, which is genetically closest to human collagen and produces natural-looking results. The results with this technology are safer, more consistent and predictable. Evolence has been subjected to extensive scientific testing, and has been proven to be effective and safe through clinical studies. As long as the procedure is performed by a certified Evolence specialist, the results will be highly predictable. The filler is injected into the mid to deep dermis for improvement of moderate to deep wrinkles and fold, such as nasolabial folds. Some of the potential side effects of Evolence may include redness, mild swelling, and slight pain in the injection-site. In rare cases, the patient may develop small areas of firmness beneath the skin at the treated sites. The areas may come to notice when they are pressed upon. Patients with a known history of allergy or hypersensitivity to any collagen based products should avoid Evolence therapy. The filler must not be injected in areas other than the dermis of the face. Patients with bleeding disorders are not recommended to undergo this procedure.